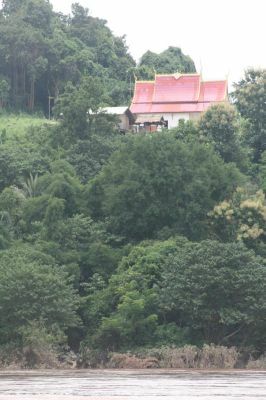 My time in Chiang Mai was fantastic. I was taken to the best restaurants, chauffeured around, helped with Thai language and bargaining - generally treated like a king. It couldn't have been better. But living the life of Riley isn't entirely what this is all about. I needed to challenge myself to cope alone. 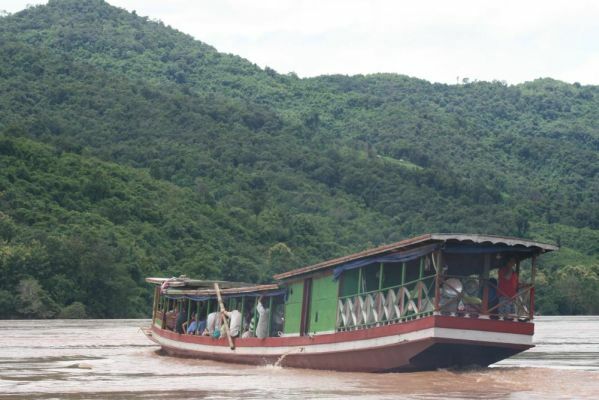 Let's try a several-day boat trip along the Mekong River to Luang Prabang in Laos. And throw in a ropey tum on the morning of departure and a flood to make it interesting. Deal with that, independence boy. 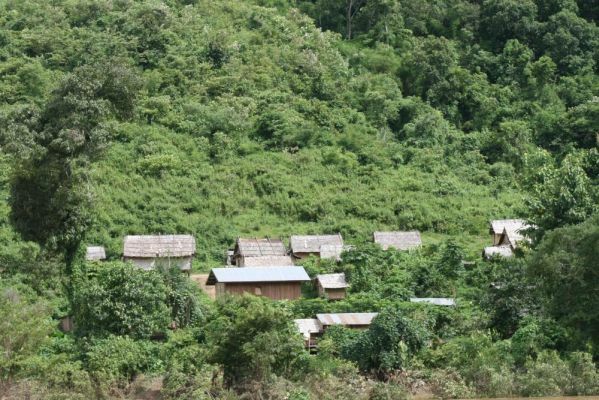 On the first day, we spent 5 hours in a minivan travelling to the Thai/Laos border. It was crammed, and fairly unpleasant. The town where we stayed was pretty rough. After dinner, I went to a pub with an Italian lady and a British guy. I must say, there was a good international mix on the trip. 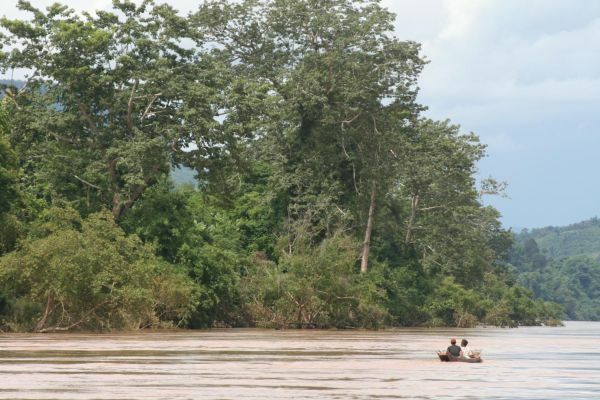 You can travel up the river by slow boat or fast boat. The slow boat takes 2 days. The fast boat is a small speed boat. On it, you crouch down wearing a crash helmet, because they have a record of frequently flipping and killing tourists. I opted for the slow boat. 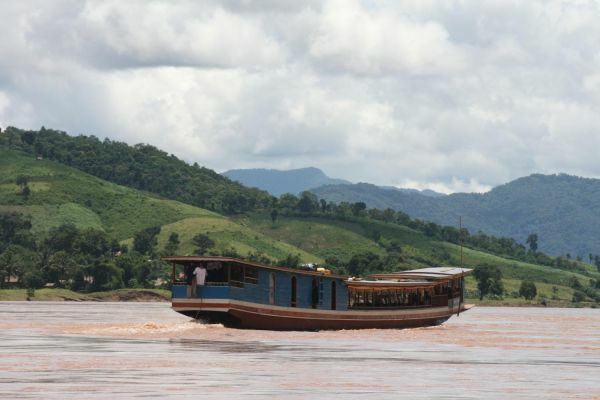 The next morning, we were ferried across the river to Laos, and went through immigration. This took hours. They then gave us the hard sell about how much better it would be to take the bus than the boat. 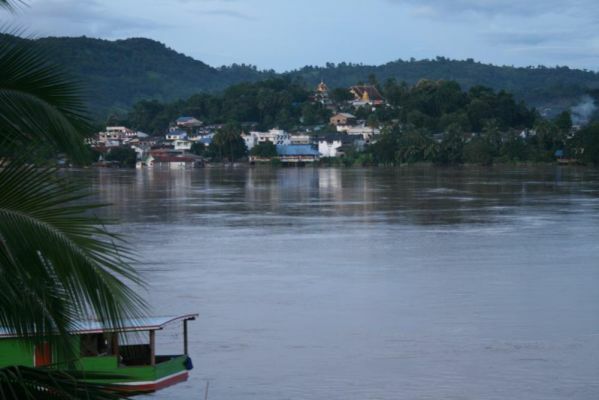 It would only take 10 hours, and then we would be in Luang Prabang by midnight. It turned out that they had sold too many tickets and there were too many people for one boat. They kept hounding us to take the bus until one of the Americans got angry and shouted at them. Then they backed down. This was excellent, because they squished nearly everyone onto the first boat, and those of us on the second boat had heaps of space to ourselves. Incidentally, two guys from our group chose to take the bus, to get to Luang Prabang quicker. Instead of taking 10 hours, it took them 24 hours and was reportedly "torture".